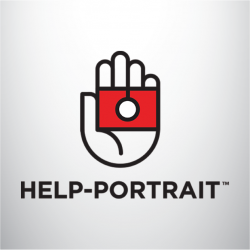 Help Portrait – Lafayette – We don't want to take your picture. We want to give it to you. We don't want to take your picture. We want to give it to you. Welcome to Help Portrait Lafayette! Sponsored by f/765 (the local photography community) and Tuesdays Together (a Rising Tide Society group), this free community portrait event affords everyone the opportunity to receive a free family, couple, or individual photo, along with a complimentary 8×10 print and the ability to download the image digitally. Pre-registration for 2019’s event coming soon! Welcome to Help-Portrait Lafayette! Help-Portrait is about GIVING the pictures, not taking them. These portraits aren’t for a portfolio, website, or sale. It’s about giving people who otherwise couldn’t afford photography, a chance to capture a moment, a memory…and a whole lot more. Lafayette Help-Portrait is organized by the local TuesdaysTogether Lafayette and f/765 groups. 2019 event info coming soon. Help-Portrait is about GIVING the pictures, not taking them. These portraits aren’t for a portfolio, website, or sale. It’s about giving people who otherwise couldn’t afford photography, a chance to capture a moment, a memory…and a whole lot more. Lafayette Help-Portrait is organized by the local TuesdaysTogether Lafayette and f/765 groups. Are you looking for a reason to smile this holiday season? We believe that every family deserves to be honored and celebrated. That’s why Lafayette’s TuesdaysTogether and F/765 will be hosting a free family portrait event for the Lafayette community! This is a great way to get the entire family together for a photo that will be cherished for years to come. There will be photographers, photo editors, hair stylists, makeup artists, and more at the event so you can make sure your family looks great for absolutely no cost! Pre-register online at the link below (Walk-ins are also welcome). Join us, 2019 event info coming soon. It’s that simple. Grab your family and come have a photo taken! All questions may be directed to Christopher Deckard, owner and photographer of Velvet Lotus Photography, by emailing chris@velvetlotus.com.